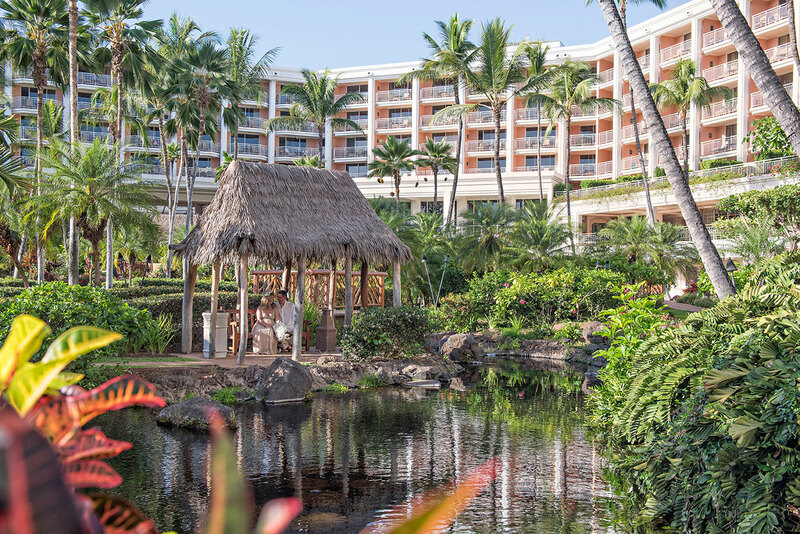 If you’ve ever visited Hawaii you know just how beautiful the islands are and how amazing the beaches are! 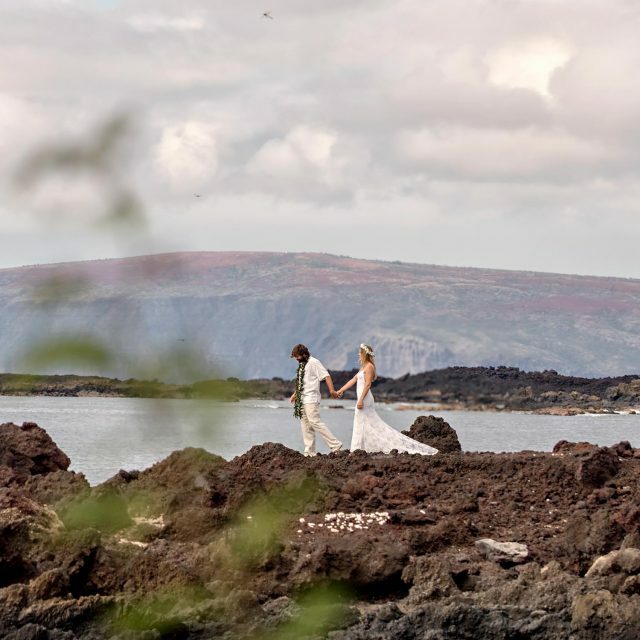 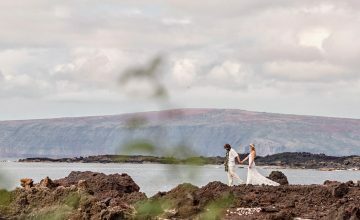 Maui has become a popular destination for weddings and many people choose to be married on one of the island’s stunning beaches. 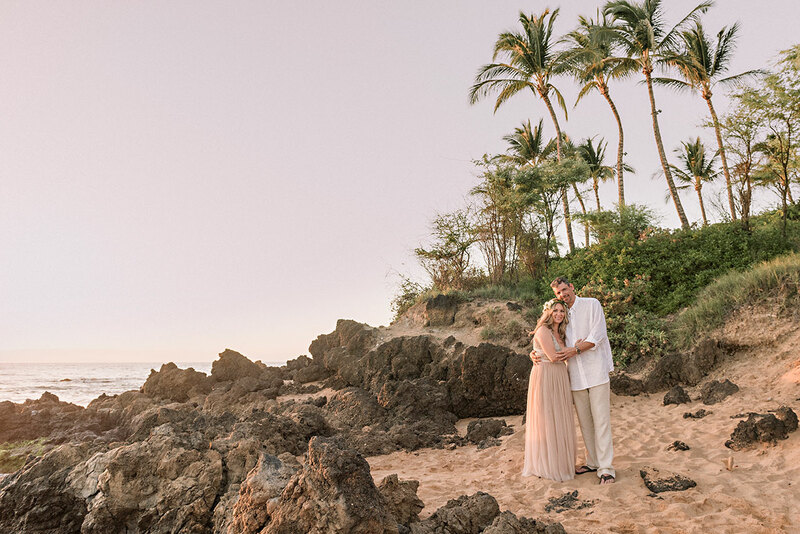 With sand under your toes, the sound of the ocean and palm trees swaying, you have the perfect setting for a Maui beach wedding. 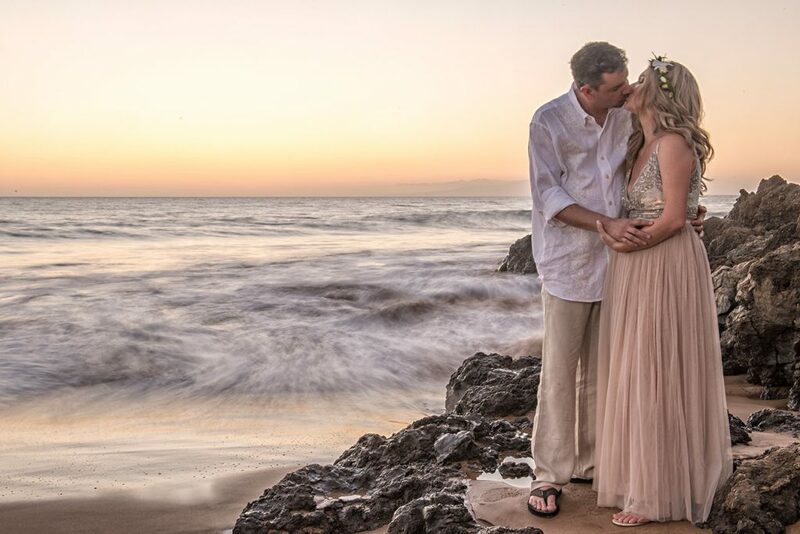 We are lucky to photograph incredible destination weddings in 5 star hotels, adventure elopements and intimate beach weddings. 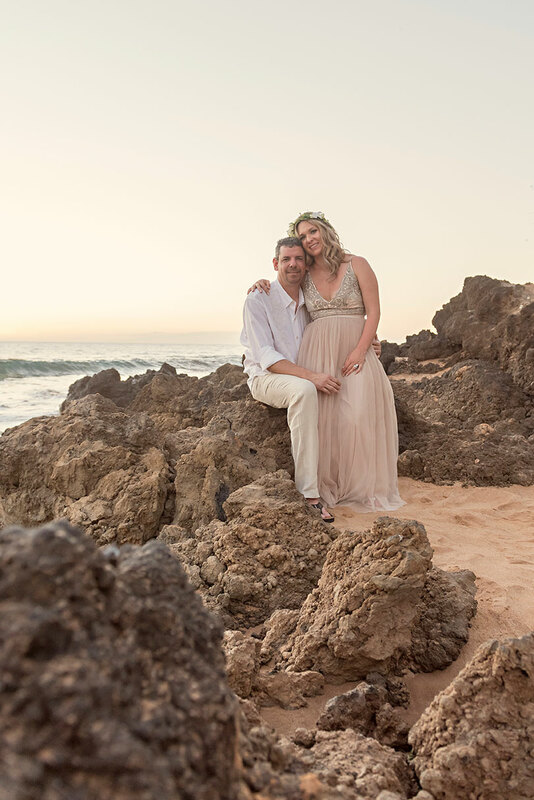 I don’t think I could ever pick which was my favorite location to photograph a wedding as they each have their own beauty and charm. 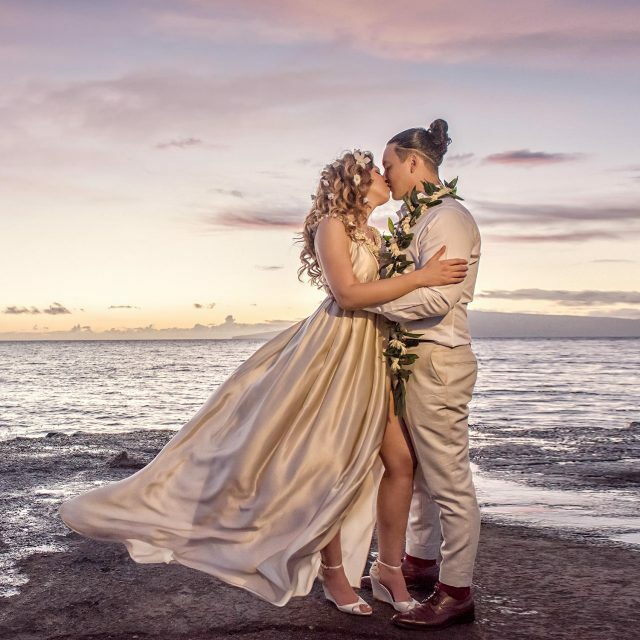 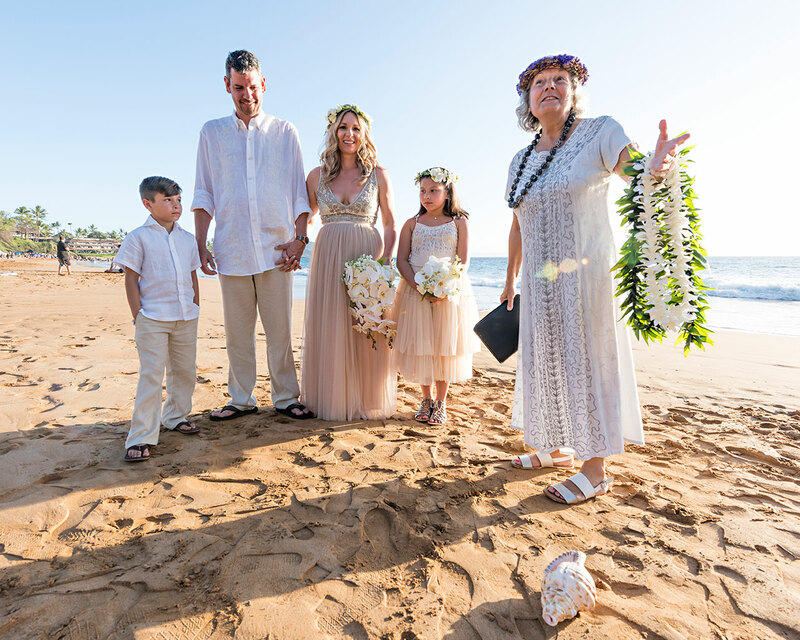 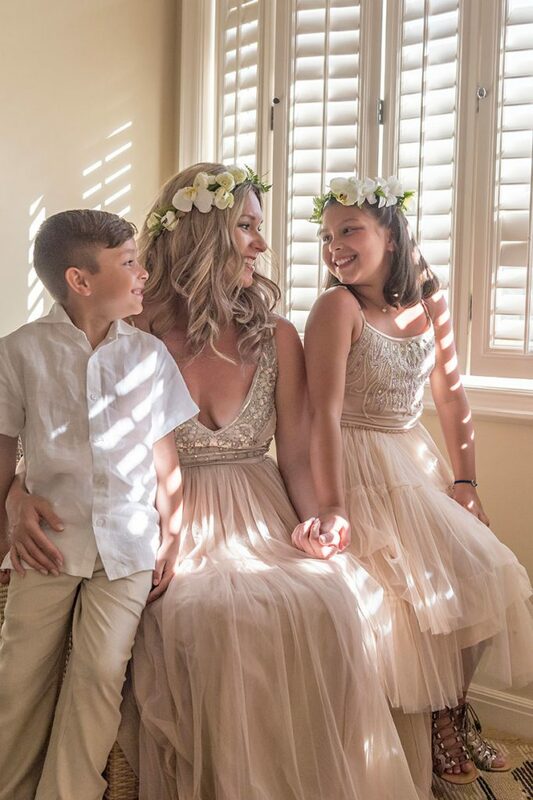 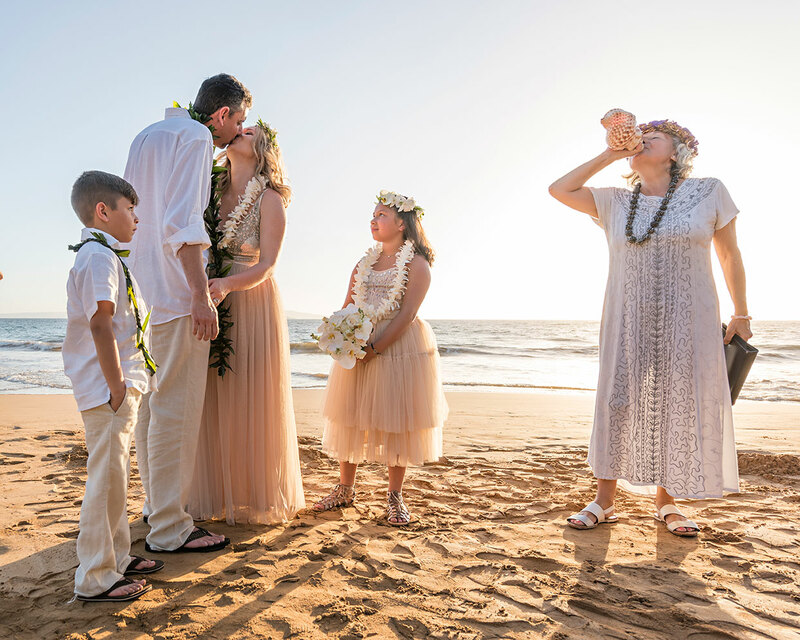 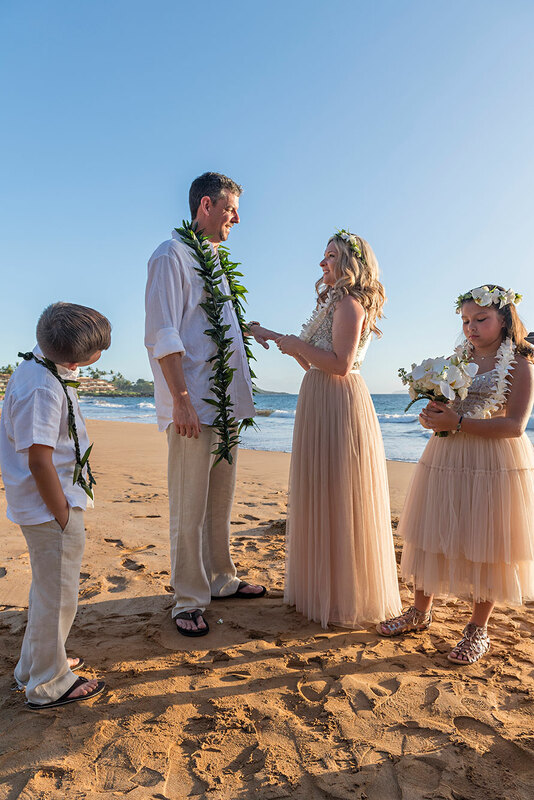 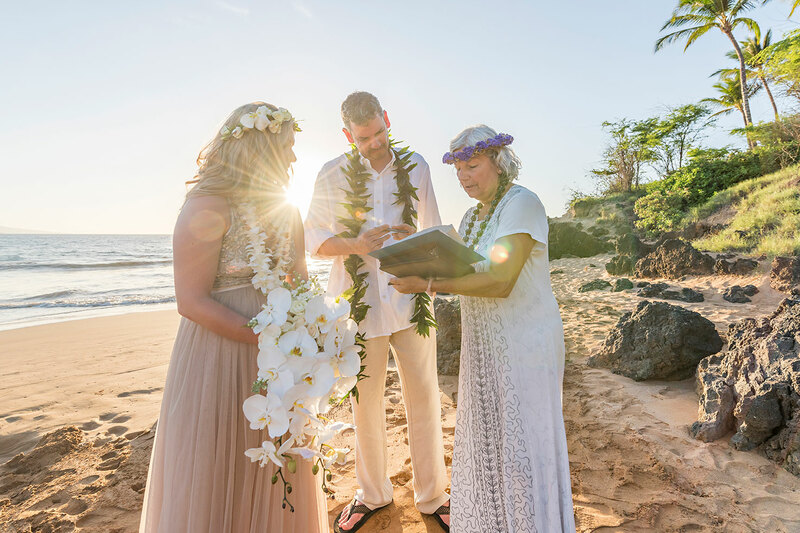 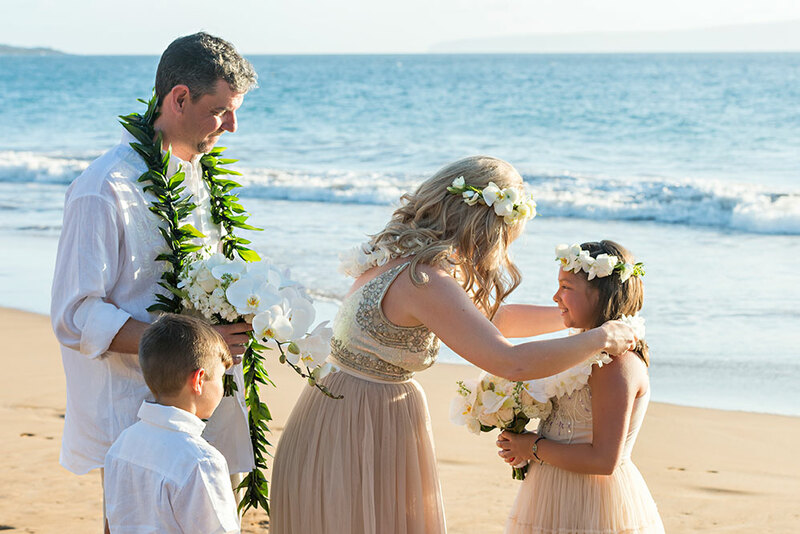 Casey & Kevin were married earlier this year at Po’olenalena beach with their children and a small family group to witness their loving commitment to each other. 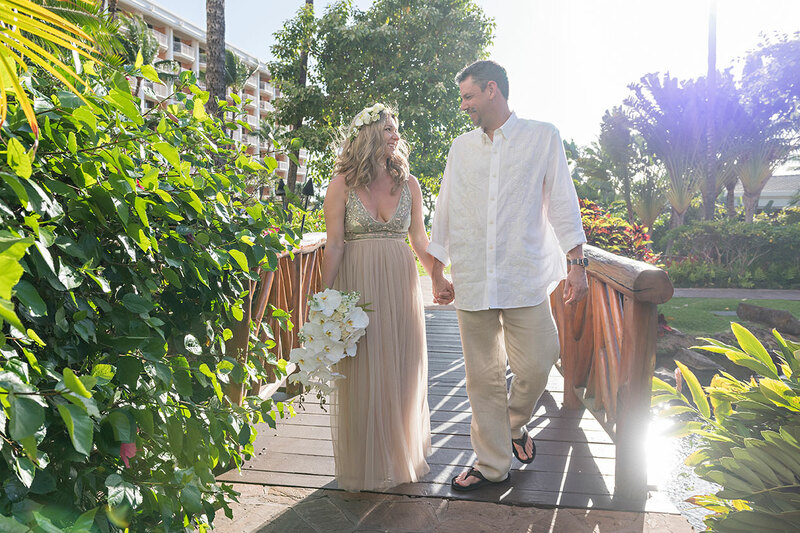 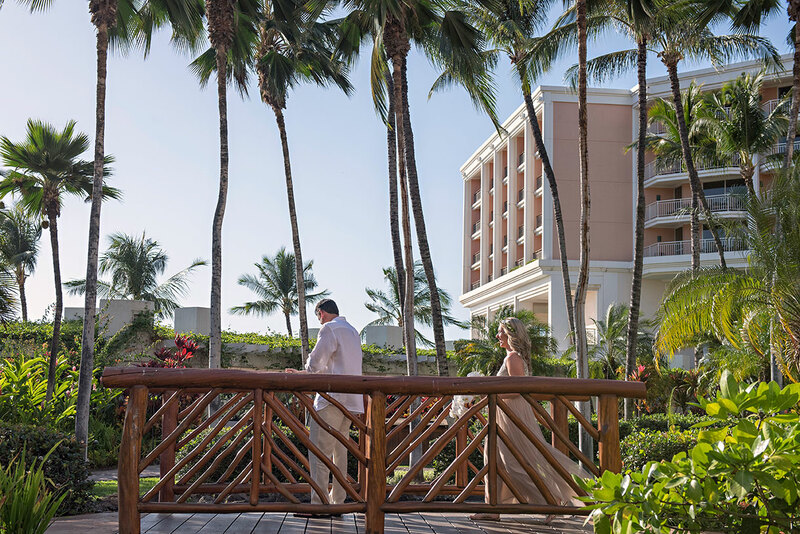 They chose to have a ‘first look’ at their hotel, The Grand Wailea, before heading to the nearby beach for their Hawaiian wedding ceremony. 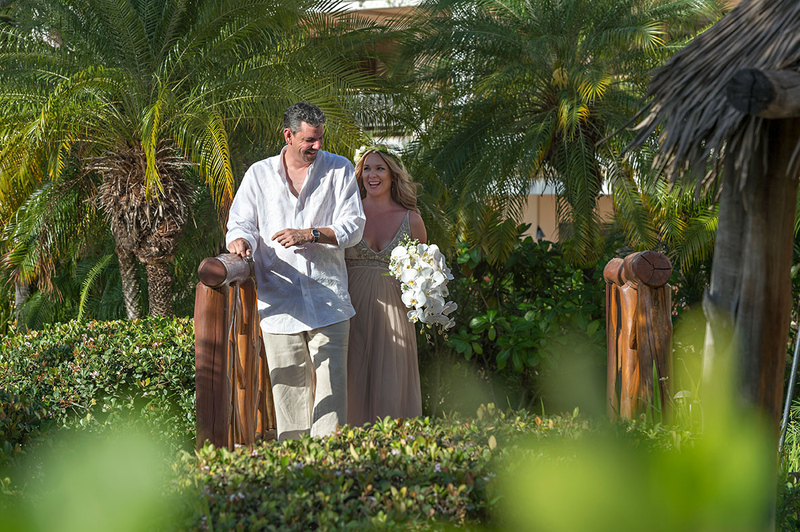 I have to admit, I get so excited when a couple decides to have a first look before their ceremony. 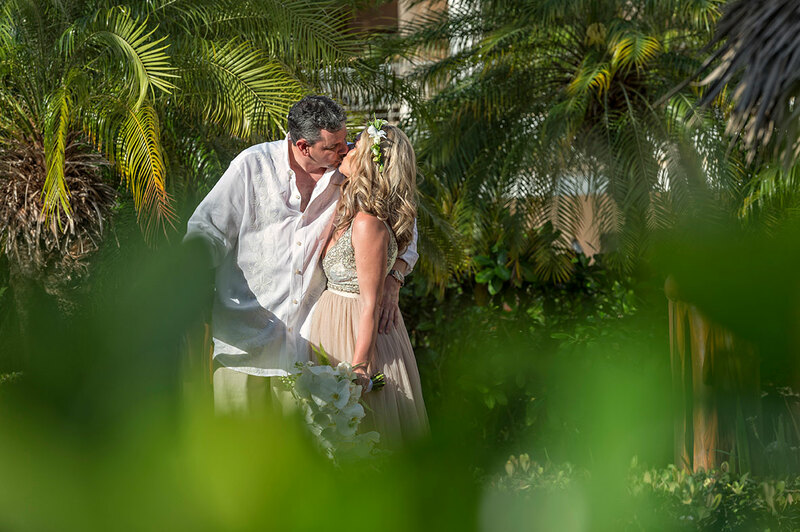 It gives them the opportunity to spend some time together before the wedding ceremony as well as having a few extra photos taken! 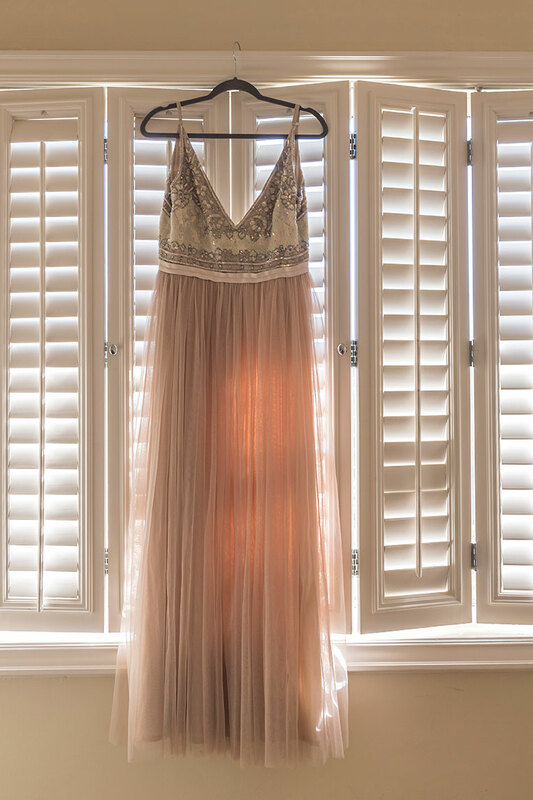 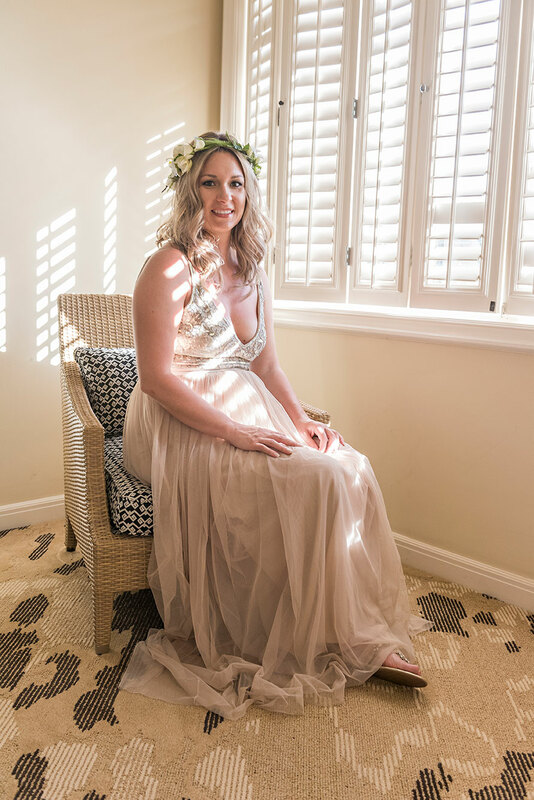 Check back to the blog soon for more details of what a first look entails so you can decide if it’s something you’d like to have for your wedding day!